Anyway the rotis were super soft and super sleek. So much so that one didn’t know how many one ate! Valli I am honoured ! Truly you got me on cloud 9 ��. The rotis look real soft and you are right when you say you can really eat rhese n no counting ! But the Gujjus use rice flour for dusting. The simple everyday bread works so well with the Indian sides. 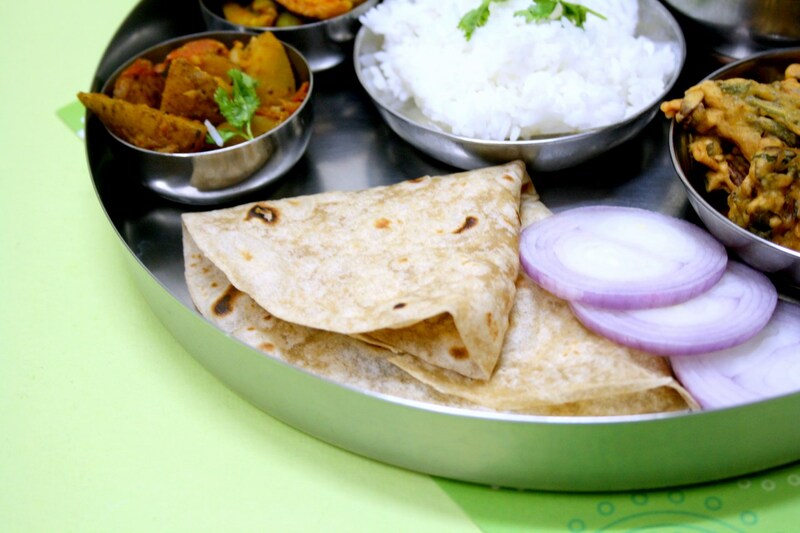 Your thali looks great too. Very delicious recipe. Thanks for sharing. Love the everyday kind of roti. The whole setup is tempting. I didn't know the difference between roti and rotli, thank you for the clarification. Gujarati thali looks amazing. like this thin roti – I would imagine it would make a great wrap also! Perfect looking rotlis.I loved it too. Rotli looks great and i second Mir's comment too, can make excellent wraps with this thin flatbreads. Thats a nice spread Valli. 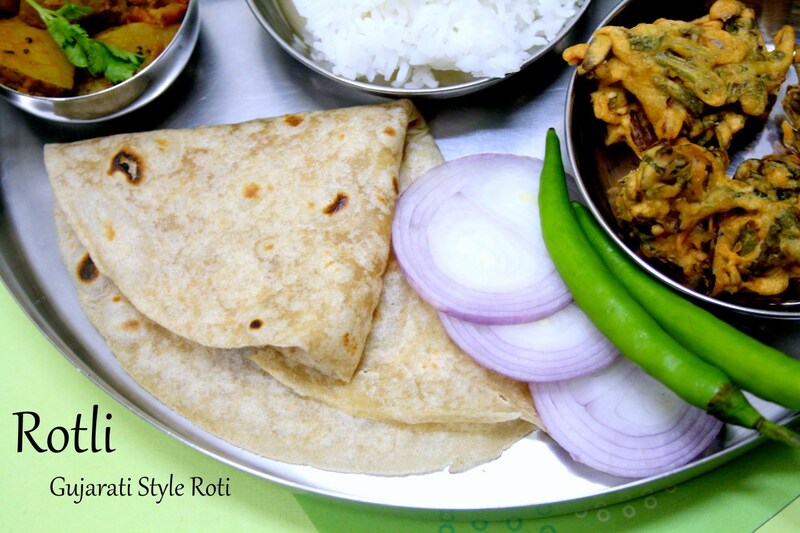 Those thin rotis are super tempting….